13On the very same day Noah and Shem and Ham and Japheth, the sons of Noah, and Noah’s wife and the three wives of his sons with them, entered the ark, 14they and every beast after its kind, and all the cattle after their kind, and every creeping thing that creeps on the earth after its kind, and every bird after its kind, all sorts of birds. The water prevailed and increased greatly upon the earth, and the ark floated on the surface of the water. 19The water prevailed more and more upon the earth, so that all the high mountains everywhere under the heavens were covered. 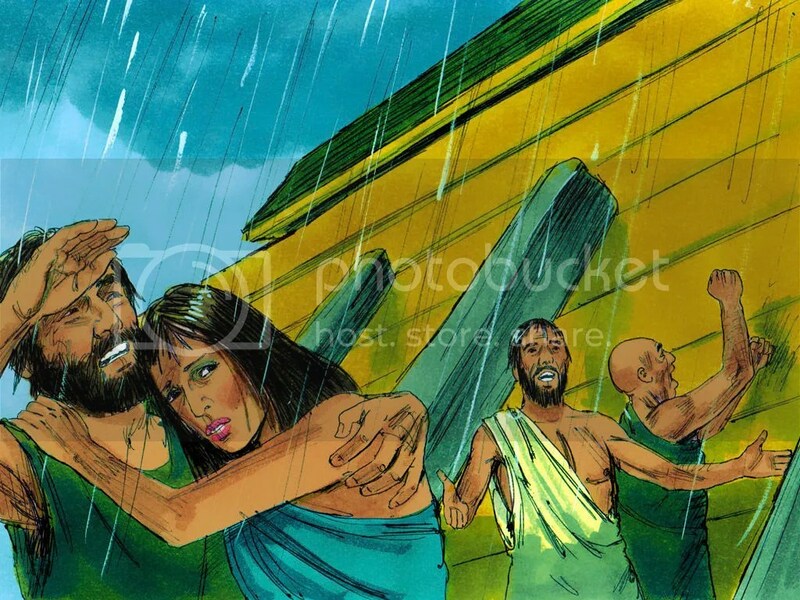 20The water prevailed fifteen cubits higher, and the mountains were covered. 21All flesh that moved on the earth perished, birds and cattle and beasts and every swarming thing that swarms upon the earth, and all mankind; 22of all that was on the dry land, all in whose nostrils was the breath of the spirit of life, died. 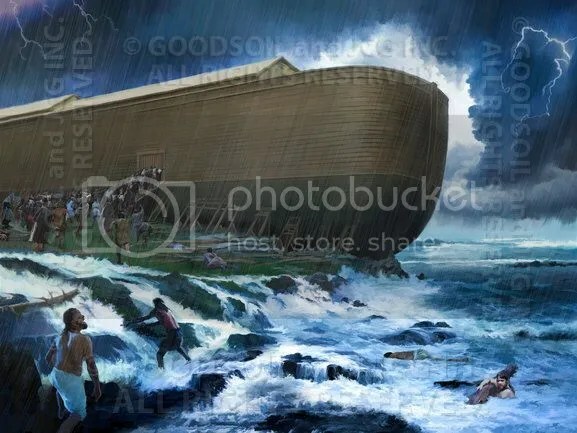 23Thus He blotted out every living thing that was upon the face of the land, from man to animals to creeping things and to birds of the sky, and they were blotted out from the earth; and only Noah was left, together with those that were with him in the ark. 24The water prevailed upon the earth one hundred and fifty days. ← Get Me to High Ground!